How Ocean Pollution Affects Humans - Planet Aid, Inc. The environment pays a heavy price for our “fast fashion” habits. The textile industry regularly contaminates waterways with dyes and waste, and washing our synthetic clothing releases plastic microfibers into the ocean. Growing enough cotton to produce just one t-shirt requires up to 700 gallon of water! Read our guest blog below to understand better just how devastating ocean pollution can be. The ocean plays an essential role for life on earth. It provides over 70 percent of the oxygen we breathe and over 97 percent of the world’s water supply. Everyday, the ocean is under attack from natural sources and manmade pollution. Pollution does not only affect marine life and their environment, it also affects mankind. Every day, toxic chemicals are entering our oceans. These toxic chemicals have either been dumped on purpose from industrial sources or naturally flow off land and directly into our rivers and streams, which eventually end up in our oceans. Chemicals such as oil, mercury, lead, pesticides, and other heavy metals can all be found within the ocean and can contaminate water supplies and our food chain by affecting the marine life involved. If humans are exposed to these toxic chemicals for long periods of time, then this can result in dangerous health problems, which include hormonal issues, reproductive issues, and damage to our nervous systems and kidneys. 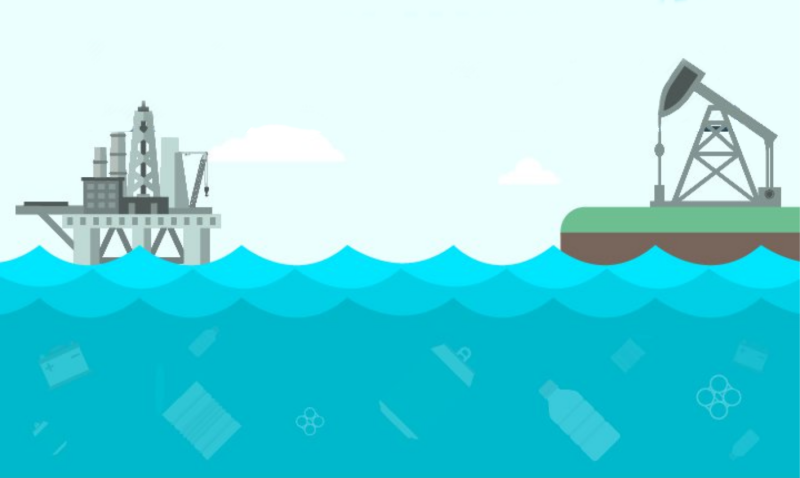 If you would like to learn more about how ocean pollution affects marine life and humans, then take a look at the incredible infographic below, created by the team at https://www.divein.com/, which will shed some light on this perilous situation that our oceans are in….